Home » Eddie Murphy Expects His 10th Child! Eddie Murphy is about to become a dad for the 10th time after it was revealed this week that he and girlfiend Paige Butcher are expecting their second child together. 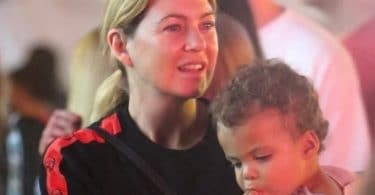 A source told People.com that the couple, who have been together since 2012 “are very happy to expect another baby” after the mom-to-be debuted her baby bump in Los Angeles this month. The new baby will join the couple’s 2-year-old daughter Izzy Oona. Eddie is also dad to Eric,Bria, Christian, Myles, Shayne, Zola, Bella and Angel.